This custom chandelier is made with rock crystal and was created by Gladstone Industries for a famous Las Vegas hotel. 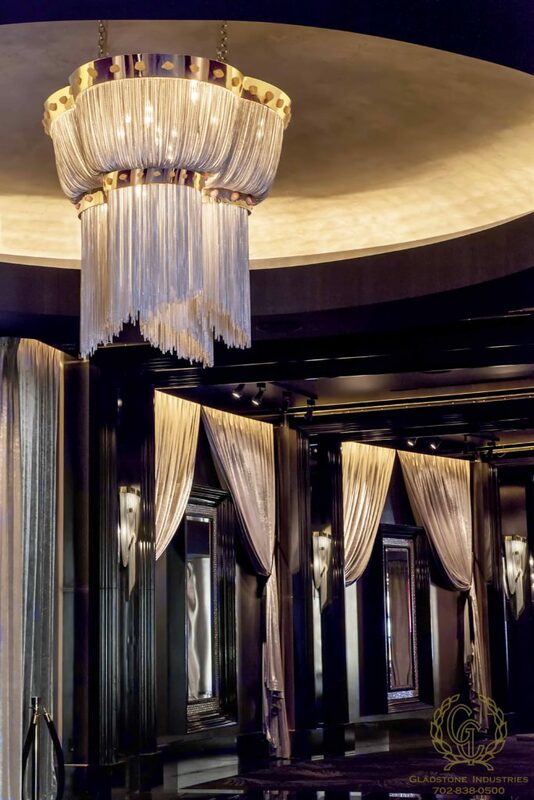 Named in the style of the most sought-after style of caviar, and placed in the famous Caviar Russo restaurant in Las Vegas, this custom chandelier was created by Gladstone Industries a few years ago. The famous Aria Hotel in Las Vegas features these custom chandeliers by Gladstone Industries in their slot machine halls. 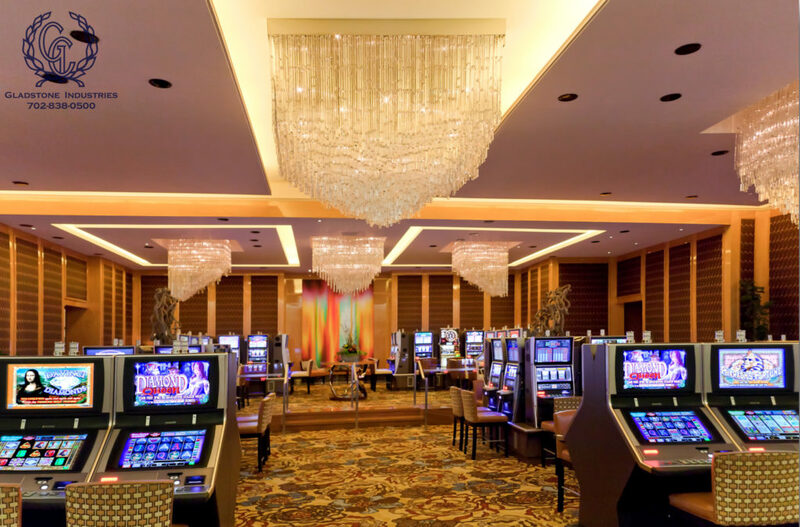 Gladstone Industries Corporation in Las Vegas provides custom chandeliers, custom lighting, custom furniture and custom architectural designs to top hotels and high end residential clients around the world. This entry was posted in Custom Chandeliers.